If you know me at all then you know that I am NOT the fittest person out there! I weight more than the average 40 year old. 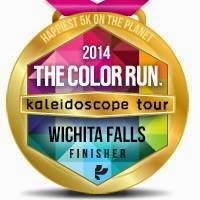 When I was asked to be a COLOR RUN Ambassador for Wichita Falls I kinda thought it was funny at first. After I thought about it ~ I said what the heck "I can do it".. I mean how hard can a 5k really be....?? 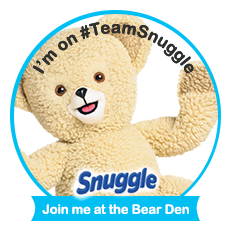 I gathered my bud Lorena, my daughter, myself and our tutus and we decided to do it together! The Color Run was a blast! It is nicknamed the Happiest 5k on Earth because it is the only run of its kind. It is a non timed 5k. It is not about how fast you get done ~ its all about getting colored! Before the run even starts there is a Zumba party and warm up! Jessica caught a Color Runner cap! You start the race all nice and clean in a pretty white t-shirt. they toss color all over you ! After the countown the crowd takes off running! I ran for as far as I could! About the time I was getting tired I saw the blue station ahead!! The second color station was pink! The 3rd color station was yellow! Jessica was covered by the time she got to the Yellow station! The Last Color station was purple! Just look at us at the Finish line! When you finish the run you are given a huge bag of color and you head back to the stage area for the After Party!. There are count downs every few minutes and you toss your bag of color. 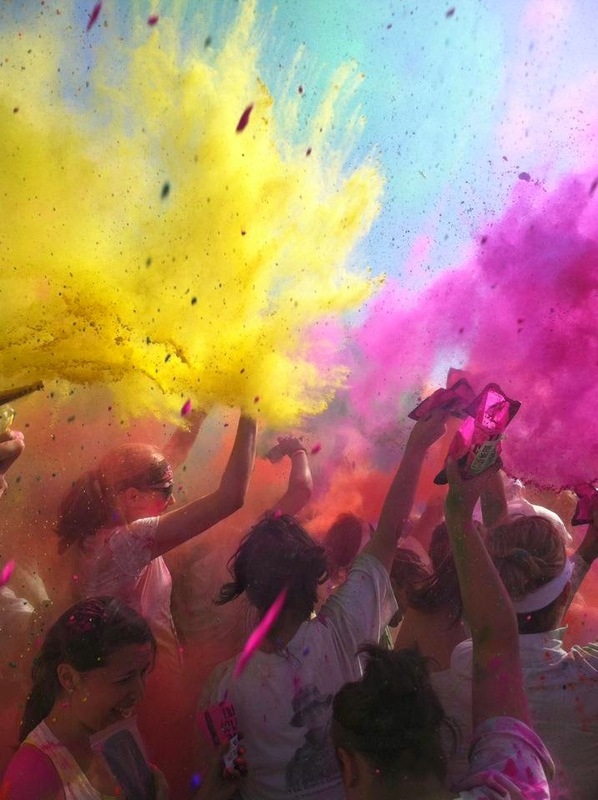 When there are 50 or more runners throwing their bag of color it looks AWESOME and you get covered! When Jessica and I got back home we had color everywhere!! The Color Run was the most FUN I have had! Thanks bunches to The Color Run gang for giving me the chance to be a part of the Wichita Falls Ambassador crew and the chance to complete something I thought I would never do:) Disclosure~ For being an ambassador I got free registration for the Color Run.